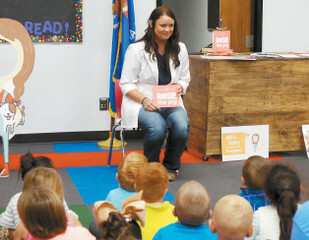 Dr. Rebekah Hartfield visited the Cheyenne Elementary on Monday. She is the Author of “Rosie the Pig” and a veterinarian at Cushing, Oklahoma. All of the children enjoyed meeting her, listening to her story and petting Rosie the pig.